The ancestral drainage system on the island has been renovated. Rainwater collects in canals that cross the vineyard and the water is evacuated by opening sluice gates at low tide. Before planting the first vines, the ground was prepared only with plants (barley, radish). The vines were planted by direct seeding without any ploughing following the principles of Claude Bourguignon. And of course, never any weedkiller. An assembly of antique Italian grape varieties with a dominance of the Istrien Malvoisie. In order to revive the flavour of wines in the past, before the philoxera epidemic, the vines were not grafted onto roots imported from America but planted directly. 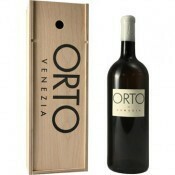 This is one of the reasons for ORTO’s exceptional quality. 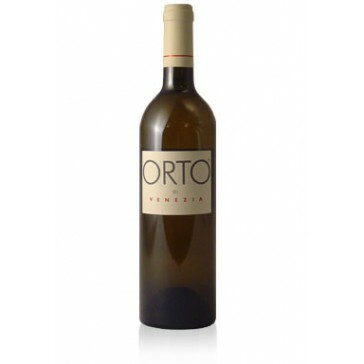 ORTO is a white wine with a high mineral content and a flavor which reflects its terroir. The island of San Erasmo in the Venician lagoon has been supplying fresh vegetables to the market in Venice for centuries. The San Erasmo artichokes, the "castraure" are renowned throughout Italy. In the 16th Century the island was covered in vineyards. Michel Thoulouze and his family decided to relaunch wine production on the island using the traditional methods of the local farmers and the expertise of Lydia and Claude Bourguignon (agricultural engineers) and Alain Graillot whose Crozes Ermitage wines have a worldwide reputation. The resulting white wine has all the character of this special island and it is the only wine cultivated within the territorial boundaries of Venice. It can be drunk on all occasions but it is especially suited to the produce of the Venice lagoon: fish, seafood, artichokes and asparagus. Serve in thin crystal clear glasses at 10 degrees Celsius. The bottles should be laid horizontally in a cool, dark, humid wine-cellar. Easy ordering from UK. Delivery to my brother in Italy went smoothly. He likes the wine, so all good.